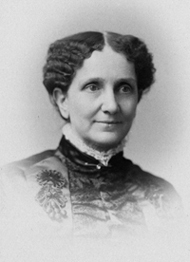 Mary Baker Eddy (1821–1910) was an influential American author, teacher, and religious leader, noted for her groundbreaking ideas about spirituality and health, which she named Christian Science. She articulated those ideas in her major work, Science and Health with Key to the Scriptures, first published in 1875. Four years later she founded the Church of Christ, Scientist, in Boston, Massachusetts, which today has branch churches and societies around the world. In 1908 she launched The Christian Science Monitor, a leading international newspaper, the recipient, to date, of seven Pulitzer Prizes.